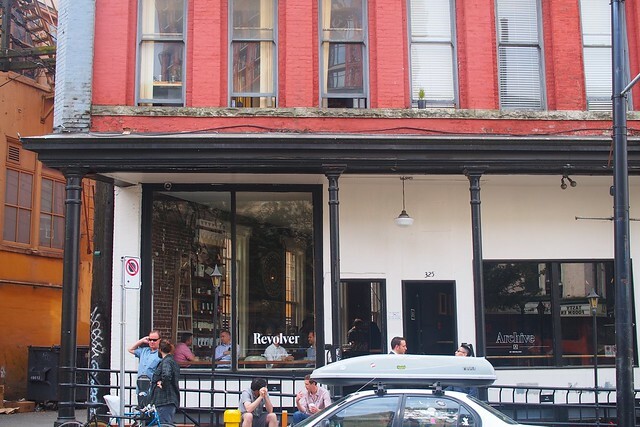 Gastown—Amidst Vancouver's ever evolving coffee culture, Revolver Coffee is probably the standard by which I usually compare all Vancouver coffee shops to with their serious attitude towards caffeinated beverages. 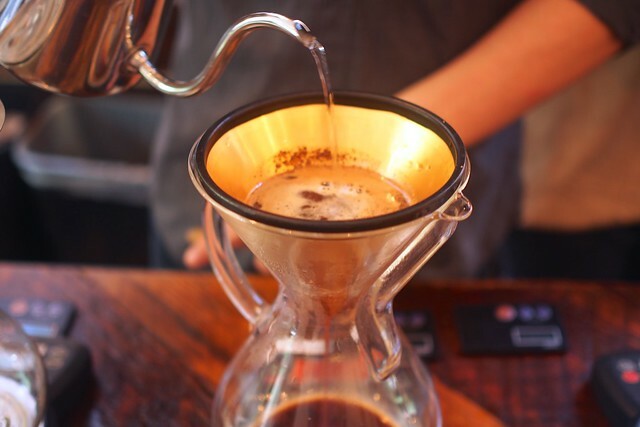 I'm always a little overwhelmed by Revolver's thoroughly diverse selection of pour over coffees. 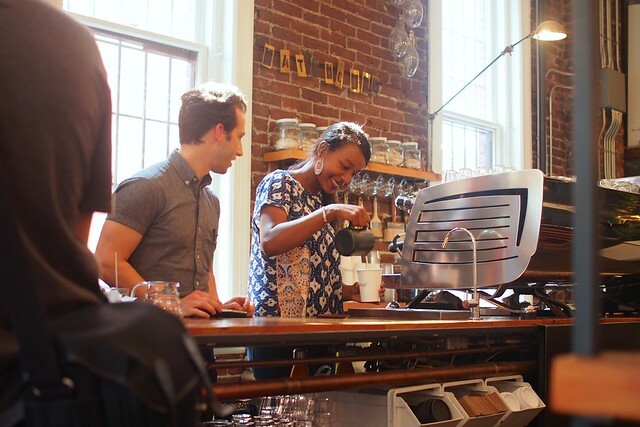 Watching them carefully brew your single cup of coffee made fresh to order right in front of you with precision is always a treat. 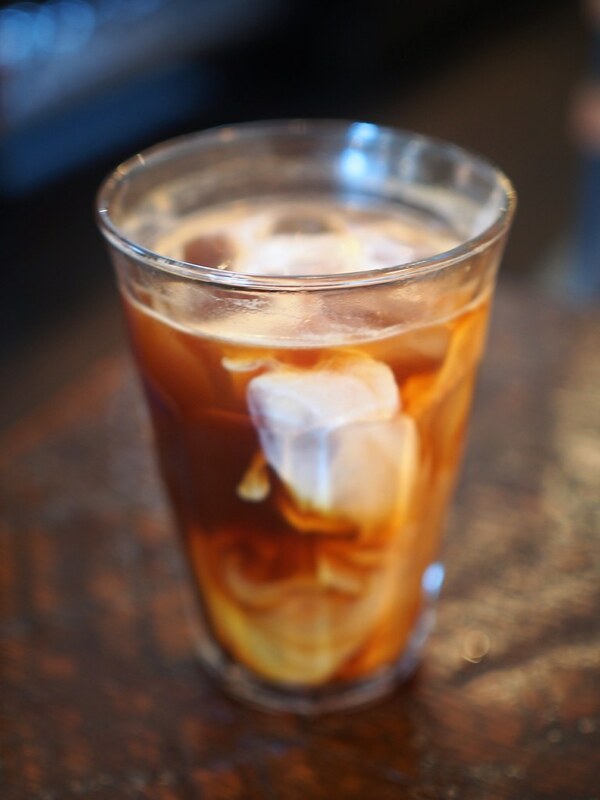 They also make a refreshing Americano (iced here) full of cool espresso flavours. 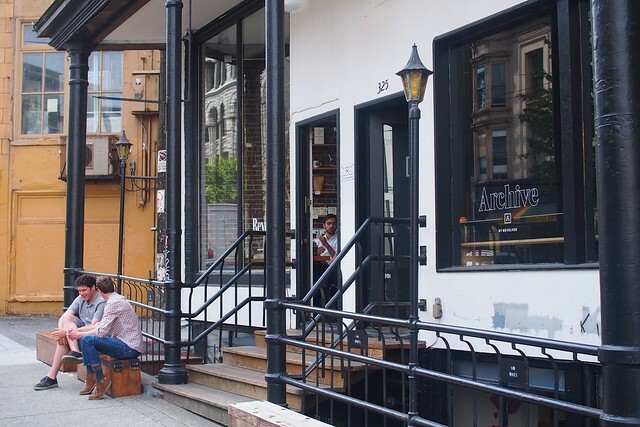 Revolver is extra cozy thanks to Archive, their attached/adjacent spillover space and retail outlet next door. 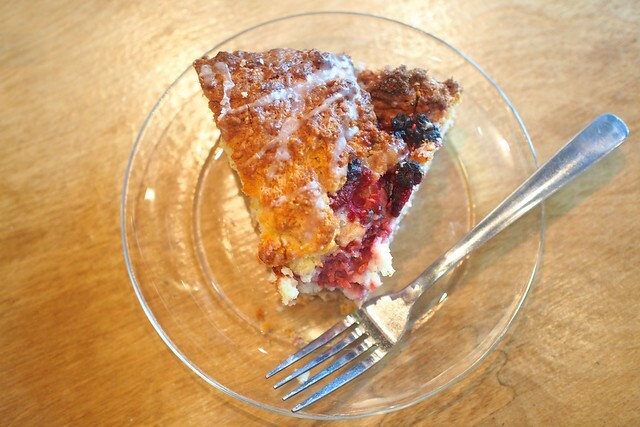 I'm a sucker for a good piece of coffee cake and their raspberry coffee cake is suitably crisp and scrumptious with a nice lightness to it. 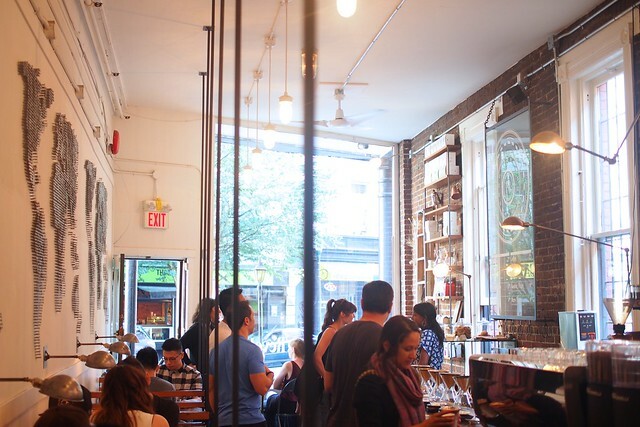 It's hard to beat Revolver when it comes to their overall coffee experience.